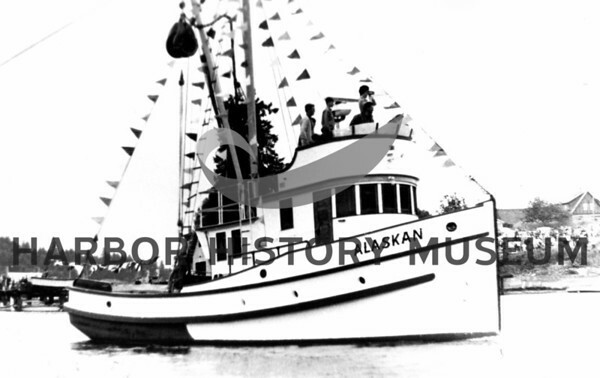 Fishing boat "Alaskan" built at O'Brastad in Seattle in `1935. Powered by 100 Superior Diesel; length 58'. For O. Gunderson et al. As of 1996 - in Seattle. Harbor Holidays celebration in 1971 or '72.